Let's Do It for ME! : Free Listing on eBay! 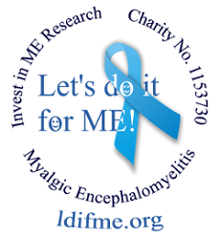 Invest in ME is set up on eBay as a charity, which means that people can sell their things through their own eBay account and choose to donate between 10% and 100% of the sale price to Invest in ME - eBay does this automatically. Also, eBay waives their fees for charity sales - in the same proportion as the percentage donated to charity.